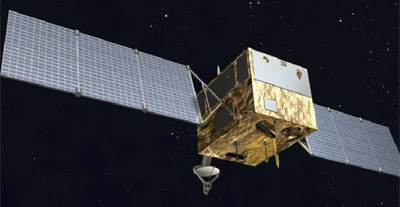 HJ 1A and 1B (Huan Jing = Environment) satellites are small chinese Earth observation satellites operated by the China Centre for Resources Satellite Data and Application (CRESDA). The satellite constellation is composed of a number of small satellites, the ground system, and the application system. It will provide all-weather (3 to 100 m meter) imagery. The Huan Jing constellation consists of two small optical satellites, the HJ-1A and the HJ-1B, and one radar satellite, the HJ-1C. The payload instrument on board includes a CCD camera (both), a hyper-spectral camera (HJ 1A) or an infrared camera (HJ 1B). HJ 1A is also the Small Multi-Mission Satellite (SMMS) of Asia Pacific Space Cooperation Organization (APSCO) and it will be the important data resources of APSCO space application. SMMS is a joint venture payload between China, Iran, South Korea, Mongolia, Pakistan, Thailand and Bangladesh under the Asian-Pacific organization.